The ATI Corporate 6000 contains a single chip paging receiver IC: the TA31149. The pins on this IC are separated only 0.65 mm. 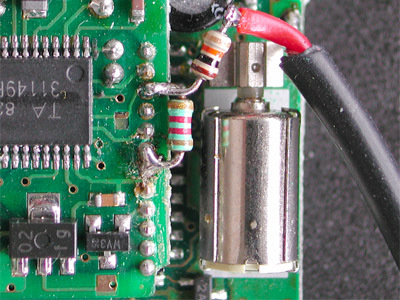 However, soldering to the IC is not necessary if you follow the instructions below. Be advised that the receiver IC has a built-in 2 level slicer. This modification only works for 2-level paging. 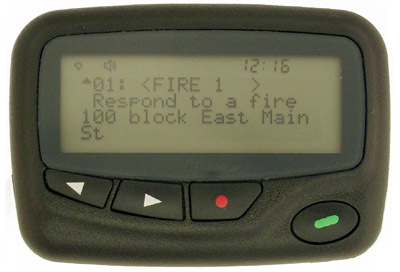 Each pager contains a battery saving mechanism. At regular intervals, the receiver is switched on briefly to check if there are messages. If not, the receiver will sleep until the next interval. 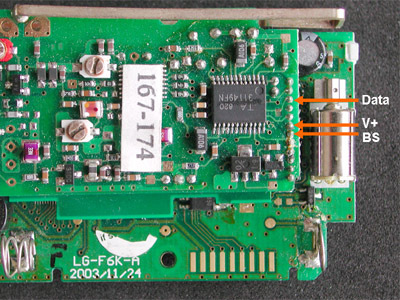 To be able to use the pager as a monitoring receiver, this battery saving mechanism needs to be sdisabled to open the receiver continuously. Obviously, as a result battery life will decrease considerably. Connect a 10 k resistor to 'Data'. 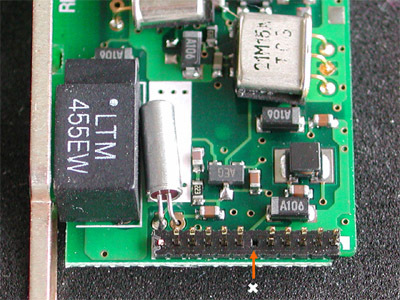 Connect the other pin of the 10 k resistor to the inner conductor of a strand of shielded wire. Connect the shield to ground, on the bottom circuit board. You will have to remove a small area of laquer. As there is not enough clearance for a chassis socket, you can drill a hole and lead the shielded wire outside. You can use a tyrap as strain relief. The shielded wire can be terminated with a female 3.5 mm connector. This 'pigtail' enables using a 2 levelinterface or audio cable.